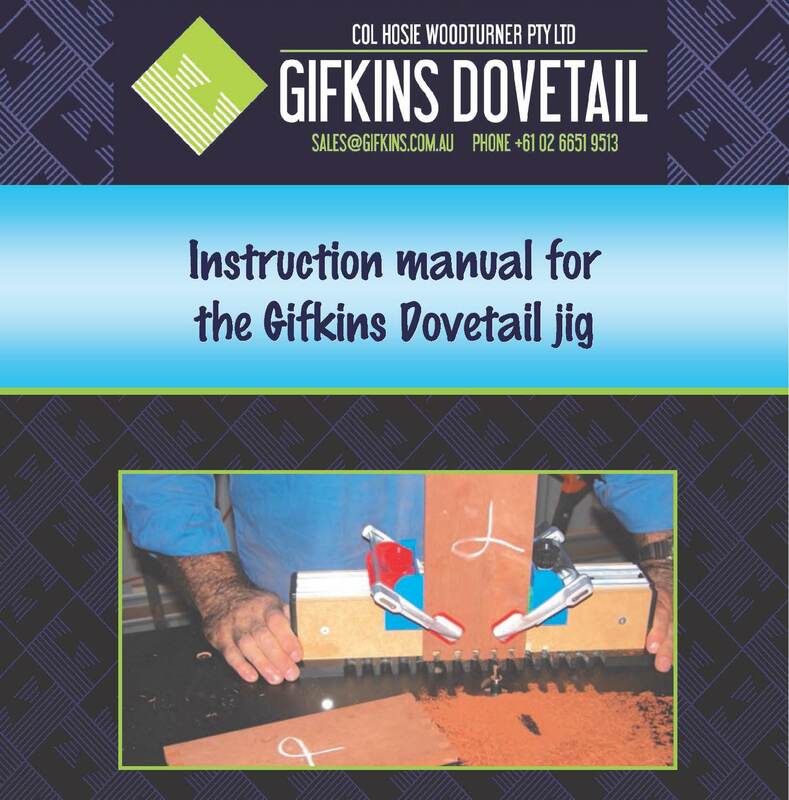 Instruction manual for the Gifkins Dovetail jig. A must-have in your jig box! Get the most out of your Gifkins jig! The instruction manual is a must-have item in your jig box. If you have misplaced your manual-then purchase a copy here. The instruction manual steps you through how to set up and cut dovetail joints and finger joints. It’s full of photos, diagrams and instructions to guide you through various processes. finally, working with thin timber. It also covers maintenance of the jig and router bits, and troubleshooting issues that you may encounter. The Dovetail demonstration DVD mirrors the chapters in the instruction manual. The manual and the DVD make your ideal home tutoring package! Please note: postage will be added when we process your order.